← Days of Awe–More Like a Year of Awe-some! At our 9:00 a.m. meeting this morning, Jesse Goldberg, one of the newest members of the BTS Communications team who came to us a few months ago fresh out of USC’s Marshall School of Business, felt compelled to open with an expression of his grief towards yesterday’s loss of Steve Jobs. In our office packed with Macs, Jesse lithely relayed his reverent sentiments of Steve Jobs as an icon, role model, and visionary whose message deserves to be adapted even in this small creative design firm. So how do we do it? How can we bring home the legacy of this late prophet of media and industry? Jesse closed his remarks this morning with a quote from Jobs’ 2005 commencement speech at Stanford University. As much as these words fit Stanford’s Class of 2005, they resound equally strongly with BTS Communications. Many of us who have come through BTS Communications’ internship program have come face to face with death and emerged alive with a new sense of value towards life and what we do with it. At a young age, Steve Jobs left college to save his family from financial hardship, and he took a stray calligraphy class that eventually inspired the aesthetics of the early Mac. While many of us here did not have the same concern for our families, we found ourselves in a similar position away from any formal learning institution and were forced to seek out our own “education” while trying to make something of the world around us. With the way we integrate graphic design, copywriting, video, photography, and all other aspects of our humble venture here at BTS Communications, we make sure that each member of our team learns from every other one. We confront the difficulties of training the downtrodden in a field driven by creativity, while never losing sight of the big picture. Steve Jobs had an uncanny knack for holding on to a visionary perspective with a scope that reached across the world. As we begin to recover from our previous lives in which we could only think about ourselves, BTS Communications helps us step out of spiritual isolation into the fantastic world of collaborative creativity that Steve Jobs helped to shape. We never stop striving for perspectives as wide and strong as his. So, from all of us at BTS Communications, thank you, Steve, for all that you accomplished in your life. The world has lost something great in your death, but your courage, motivation, and vision live on with every blog we write, every brochure we design, every artist we send back to school, and every soul we save. This entry was posted in Apple, Brands, BTS Communications, Copywriter, Current Events, Internship, Marketing, Online Commerce, Social Good, Social Networking, Technology, Uncategorized and tagged Apple, Commencement speech, Death, Education, History, Mac, Stanford University, Steve Job. Bookmark the permalink. Steve Jobs practiced Hare Krishna faith (a version of Hindu religion) in the 1970s. He went to India to take a dip in the holy river Ganges when he worked at Atari. Later he formally adopted Buddhism. Inspiring words. Thanks for putting a positive spin on this for us. refreshing. You’re welcome, and thanks for the response! I appreciate the feedback and hope you continue to read. Excellent, thoughtful post! Jobs truly was an amazing leader, although I’ve heard he was more of an “in your face”, intimidating type of executive when involved with projects in the business. Regardless of whether that piece of BTS is “JOBS” like…of .as a business owner, I am interested in how the team members teach other team members, and I don’t think I understand the 2nd part. What or who are the downtrodden? I love the quote from Jobs! He is all about doing what you love~ by following your heart! Thanks for the comment! I’m glad you enjoyed the post. Our model at BTS Communications focuses intently, if not primarily, on intern development. Each wave of new interns learns most of its responsibilities from the one before. 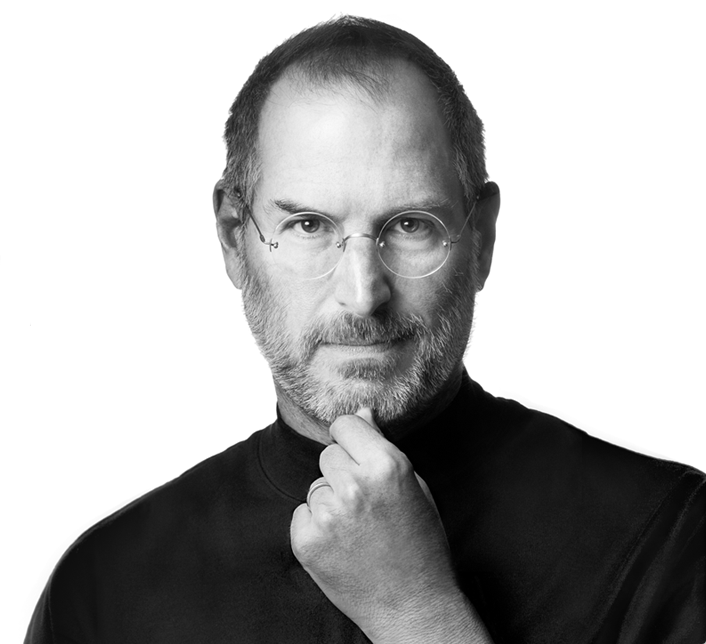 Jobs gave us many inspiring words, and I’m sure we will be learning from him for a long time.